When a sales team isn't working properly, it's an indication the process is broken. The result is an unmotivated, under-performing team struggling to close deals, producing erratic results. Sounds familiar? If so, it's time to turn things around. A dysfunctional in-house sales team has far-reaching impacts on your business... of course, the worst impact of all comes right down to your revenue. To take back control and make a meaningful change to your business, you need a new approach. 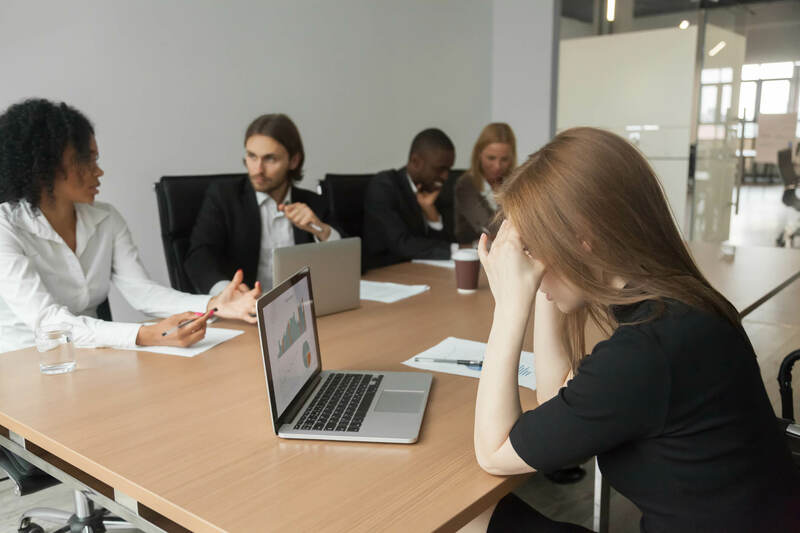 In this blog, we help you evaluate your sales performance and look at four ways to turn around your failing in-house sales team. The most obvious solution? Train up your existing sales staff. Hiring a training company to come in-house and conduct lessons with your team can save you money as cost per delegate is typically cheaper than public courses. These lessons can also be more focused on what your business is doing, instead of having to listen to generic examples and apply the information later on. Finally, these courses tend to encourage team building among staff, helping to improve your overall workplace environment. On the flip side, when you choose this option you'll need to do all of the time-consuming admin yourself, including organising trainers, booking rooms and hiring equipment. Having staff on site can equally be a disadvantage as they can be pulled out of training to deal with other work duties, making it hard to complete the course. Not to mention, some training just isn't effective in the long run. A 24X7 Learning survey revealed that only 12% of learners say they apply the skills from the training they receive to their job. What does your current sales recruitment approach look like? When you hire or promote from within the company, you're already familiar with the person's work ethic and approach. They have an understanding of the company, their on-boarding process will be faster than an external hire. All in all, this makes them a safe hire. However, when you hire from within you can miss out of new talent ideas. You could also miss the opportunity to fill any gaps in specialist knowledge that exist within the team. As a result, stagnation can remain, putting you at a competitive disadvantage. The performance of your sales team is directly related to the quality of their leadership. Most businesses will have capable sales managers, but won’t always have powerful sales leaders. A good sales leader will inspire the team through a vision and strategy. The best sales leaders are focused on results and hold their team to a higher level of accountability. They will mentor and build capability in your sales team meaning you’ll get better results and see a sustainable change in your team. Outsourcing is the approach of choice for a growing number of companies wanting to improve their sales results, and with good reason. External teams sell everyday, which means they have the sales training and infrastructure that can get you results quickly. That means less time and money spent on experimental training that may not even yield results. The diverse experience of an outsourced team can also bring fresh ideas and innovations to your company. On top of this, they use the latest technology (without your financial investment) to generate sales and create long-term strategies for your business. If your sales team is underperforming, there are three main options to choose from that can help turn it around. When deciding, take into consideration your corporate culture, growth strategy, and need for diversity and new ideas versus stability and continuity. The decision you make could be a game-changer for your company. For almost 20 years Leading Edge has provided custom built sales solutions to New Zealand companies, including our largest partner Spark. We provide high-performing, locally based sales teams that can help businesses achieve outrageous growth. If you're interested in seeing how sales outsourcing could work for you, contact us here.